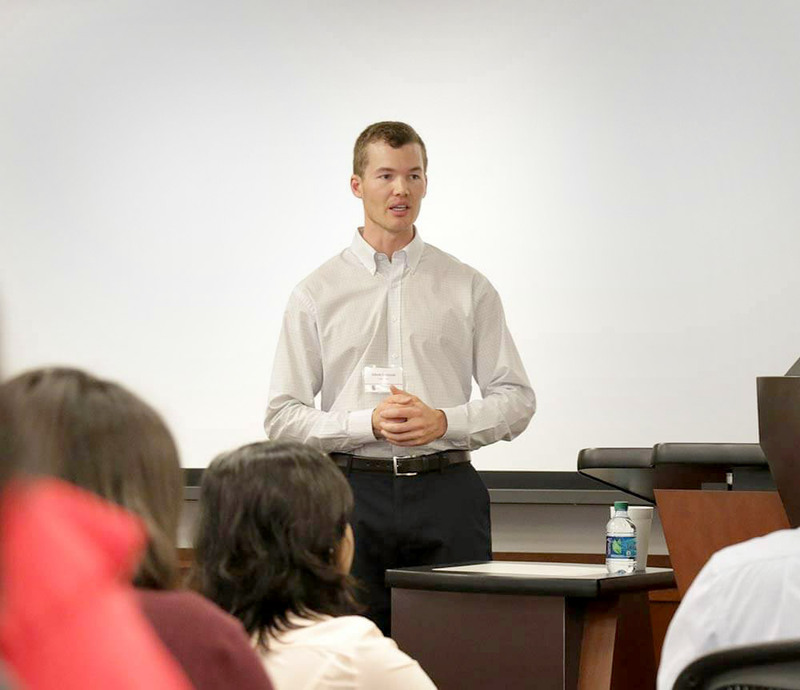 Adam C. Johnson (MBA ’16) helps veterans transition to the corporate world. Adam C. Johnson came to UGA after serving in the U.S. Army for about six years. Adam gives to UGA’s Student Veterans Resource Center, which provides student veterans with opportunities to help transition to civilian life. Over the course of five combat tours, Adam conducted counterinsurgency operations in Iraq and special operations in Afghanistan, which earned him three Bronze Star Medals. Adam serves on the fundraising committee for UGA’s Young Alumni Council of Atlanta, through which he hopes to increase support for the SVRC. Adam C. Johnson came to the University of Georgia by way of the military. Originally from South Dakota, Adam served in the United States Army for about six years before attending UGA. Now, he is a management consultant and helps corporate clients develop and implement digital strategies. Adam earned his MBA in business strategy from UGA’s Terry College of Business in 2016. As a student, he served as a graduate assistant for the Student Veterans Resource Center (SVRC). 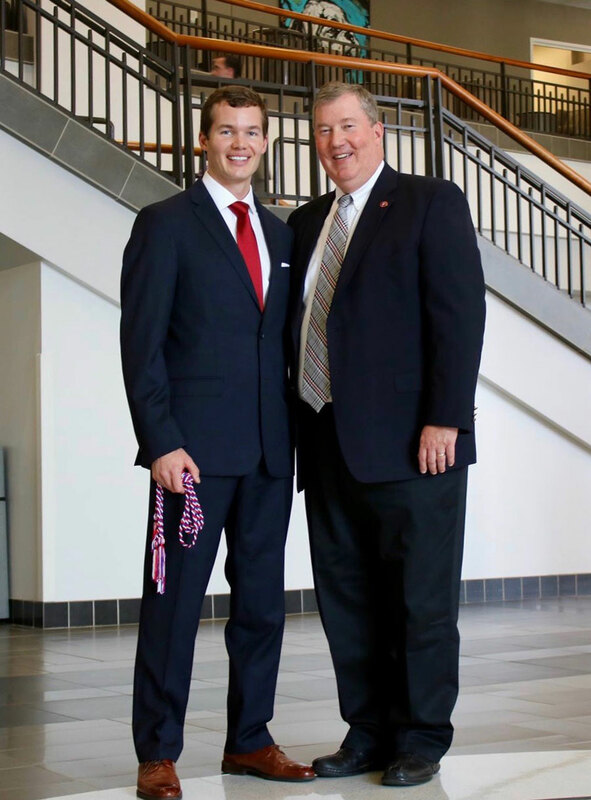 Today, he gives to UGA to help student veterans transition to the corporate world. After the events of September 11, 2001, Adam knew that the military was his calling. “When 9/11 happened, that confirmed that I wanted to serve,” he said. “I began to look for opportunities to do so, and West Point really stuck out to me.” For his undergraduate studies, Adam attended the U.S. Military Academy at West Point, where he studied military strategy. After graduating from West Point, Adam served as a U.S. Army infantry officer and Army Ranger in the 75th Ranger Regiment and was stationed in Fort Benning, Georgia for the majority of his military service. Over the course of five combat tours, he conducted counterinsurgency operations in Iraq and special operations in Afghanistan, which earned him three Bronze Star Medals. Adam speaking with first year MBA students about consulting and the corporate world. Adam was an SVRC Honor Cord recipient in 2016.